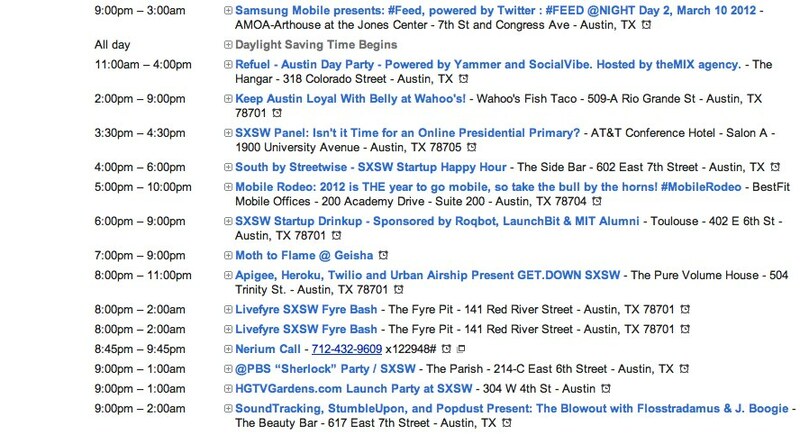 Well SXSWi has ended; what an amazing time – learning about cool new technologies and meeting new friends. I’m exhausted and have no voice. 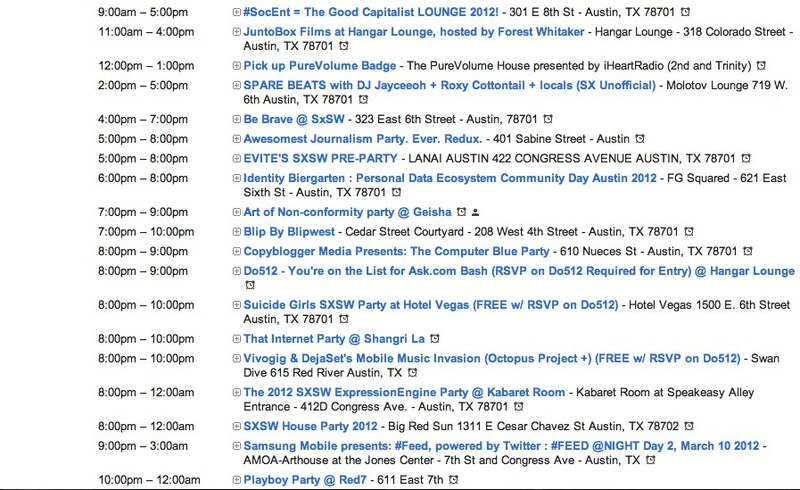 Which is awesome since now the SXSW MUSIC festival begins tonight. Gotta love Austin! Check out my newest post on all the coolness going on the rest of the weekend. 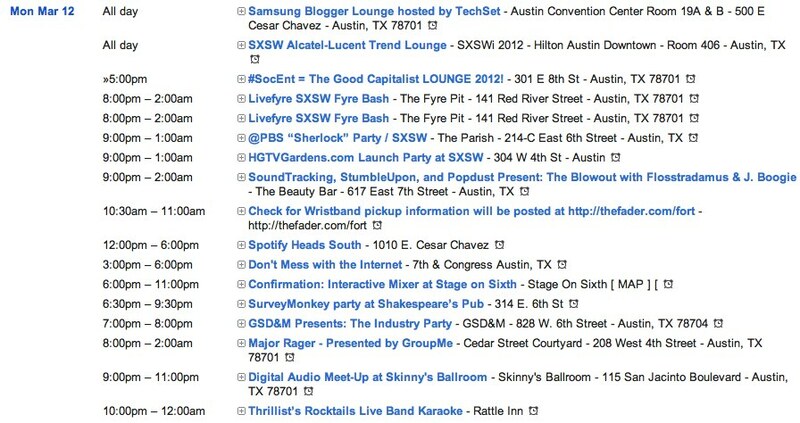 Below is all the fun from SXSWi – read it and weep. Wednesday, March 14, 12p-7p, “Just Do it – a Day Off” – when GamePlan was officed at Hannig Row above B.D. Riley’s Irish Pub (Austin’s only authentic Irish pub, yes it is), they would always take the Wednesday of SXSW off to attend record label and media day parties where good music, free food/beer and lots of relaxation after a zany SXSWi string of 5 days. This year, there are several advertising/marketing agencies and contacts we have in the music business that have asked for us to put a small group together to do all of the above and talk shop along the way. I have not details on this yet, it is not one single formal event, just let me know if you’re interested in staying informed on this one.